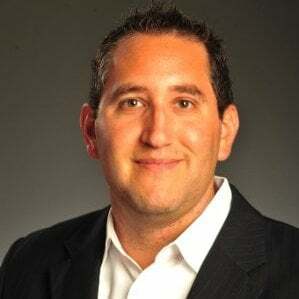 Scott Horowitz likes to say that he has learned everything he knows about sports marketing from his sons Jaxon, 5, and Ashton, 3. Their love of auto racing sells his point. They won’t go to Home Depot with him. It has to be Lowe’s, because that’s the sponsor of six-time NASCAR champion Jimmie Johnson. They like the M&M’s car for obvious reasons. They like the Farmers Insurance car even though they certainly don’t need auto insurance. They even like the National Guard car. But here’s the funny part: They have no idea who the drivers are. They just like the logos on the cars. When their dad took them to the recent NASCAR event at Phoenix International Raceway in Avondale and brought them down into the pit area, Kyle Busch – who drives the M&M’s car – walked right past them and they didn’t know who he was. But they sure were upset that the M&M’s car was painted with the Skittles logo that day. They don’t like Skittles. And get this: They’re not even allowed to eat candy at home. Older sports fans can have equally unusual reasons for buying products, which is why Horowitz’s market-research company, Repucom, is so successful. It’s also an example of the valuable insights the 33-year-old Phoenix native was sharing Thursday at Grand Canyon University’s Howerton lecture hall with a class of sports management students from the Ken Blanchard College of Business. Ask a lot of questions, he told them. Network, network, network. And keep an open mind. One look at his career path shows the wisdom of that advice. Horowitz got his degree from Northern Arizona University in broadcast communications and followed through on his plan to go into radio. But he saw a failing industry, so he gravitated to doing sponsorship work for the Phoenix-based Harlem Globetrotters. While doing that job, he impressed some people at Chicago-based Navigate Research and was hired to do sales and marketing. Navigate was working with the Phoenix Suns, who hired him, at age 30, as vice president for marketing partnerships activation. And here he is today, as vice president of development, managing the entire North American operation for Repucom, which has been around for only 10 years. “Networking is far and away the best thing you can do to get ahead in your career,” he said. Repucom’s mission is gathering data and interpreting for its many clients, which include the four major U.S. sports leagues, golf, auto racing, Gatorade, Anheuser-Busch and just about any other entity that’s important in the sports world. “It’s the biggest company you’ve never heard of,” Horowitz said. Nearly half of its 1,400 employees worldwide are devoted strictly to market analysis, or “big data,” as it’s commonly called. Everything is analyzed, down to which outfield wall at a given baseball stadium is the best one for advertising. “They’ve analyzed every inch of every stadium and arena,” Horowitz said. Repucom made this possible by developing logo-recognition software that breaks down every television broadcast of every game into one-second frames, capturing which logos show up and then using an index to assign a value to each exposure. A logo just happening to show up on a broadcast isn’t nearly as valuable as a 30-second advertisement, of course, but everything can be quantified – and the numbers show that 55 percent of sports fans have taken an action after seeing a sponsorship, and they’re 15 percent more likely than the general public to consider a brand that sponsors a sport or event. That’s why, more and more, virtually every major sports venue has a sponsor’s brand name on it. It’s why logos are more and more visible on game broadcasts, either on the stadium itself or superimposed on the field. But there’s a much bigger change coming, in Horowitz’s opinion, and it’s one that is anathema to sports purists: replacing team names with company logos on uniforms. Race car drivers and golfers have been walking billboards for years, soccer teams have adopted the idea and the Phoenix Mercury caused a mini-uproar by replacing the city or team name with “Lifelock” on their jerseys, becoming the first major U.S. pro franchise to take the plunge. Horowitz predicted that the National Basketball Association will be the first U.S. league to go that route, followed by the National Hockey League. He thinks Major League Baseball will be the last one to adopt the practice because it has long been the one most resistant to change. Repucom might not be well known, but job seekers certainly are aware of the company. Horowitz said he recently received 400 applications for a business-development opening. And how did he go about filling it? By networking, of course. Those applicants no doubt know that the future of sports is in the numbers. “Research is not a fun topic, but it’s usually the most important one in the room,” Horowitz said. Just ask Jaxon and Ashton.